Why Choose www.rollupdoorsdirect.com For Your Roll Up Door Needs? Indeed, www.rollupdoorsdirect.com is the name you can trust! You can get a quote for free on our site. To know more about our product line, you may visit www.rollupdoorsdirect.com/rollupdoorsdirect/index.html. Our site features various styles and accessories to choose from. All our products are able to meet unusual opening sizes, strict fire safety standards, and meticulous aesthetic requirements. Feel free to visit the site and be impressed with our product line. A non-certified wind lock rolling sheet door that is perfect for a more demanding door applications. With its features, this model is definitely a great value for your money. It helps you save money due to its performance and easy maintenance. It comes with a wind lock and a drum wheel (12 inches). 20' wide x 18' high is the limited maximum size of this model. It supports hand chain and electric operations as well as push up. If you are planning to purchase a roll up door on www.rollupdoorsdirect.com, you can find various colors to choose from. Colors are available in white, glossy white, silhouette grey, buckskin, polar blue, desert tain, royal blue, sandstone, forest green, fern green, evergreen, continental brown, fern green, dark teal, cedar red, valentine red, teal, tangerine, marine green, and sunset orange. 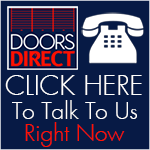 There are many roll up door providers you can find in your area. However, it is always best to choose a reputable provider to provide you peace of mind and confidence that you are making the right choice. Good thing, www.rollupdoorsdirect.com can answer all your roll up door needs. You can always visit the site and ask questions if you have a concern. You can also get a free quote online. If you are done purchasing your roll up door, the next thing you probably have in mind is the installation process. Remember that installing the door on your own can be dangerous. With this, it is best to ask for professional help. www.rollupdoorsdirect.com can help you do the installation process. One of our professionals can install them for you. Although www.rollupdoorsdirect.com is able to provide very durable doors for your residential and commercial uses, it is always advisable to look after your roll up door to make it long lasting. No matter what type of material it is made of, make sure you wash your door on a regular basis. If you got a roll up door made of wood, you need to repaint it every other year. The life of its mechanical parts can be prolonged by using a motor oil to lubricate them.